Statistics Canada census data shows there are more seniors than children, and that women continue to outnumber men. Median age of Canadians is 41.2 years, compared to 40.6 years in 2011. More seniors (5.9 million) than children (5.8 million), the first time that has happened. 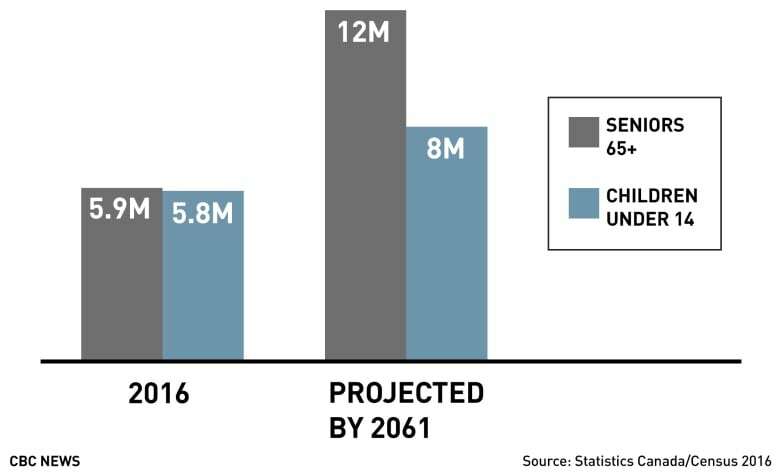 By 2061, projected 12 million seniors to 8 million children. Increase of 20 per cent in number of seniors, biggest increase in 70 years. 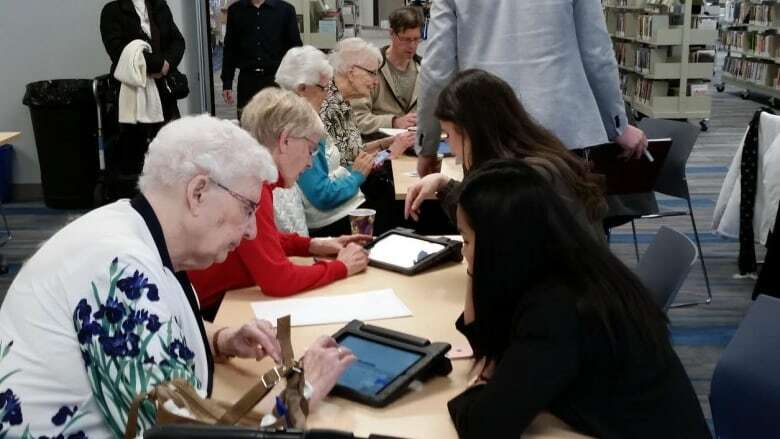 Increase of 41.3 per cent in Canadians 100 years or older, the fastest growing age group. 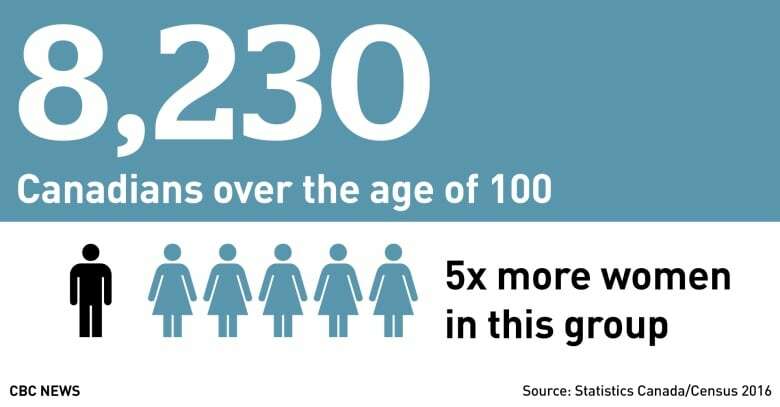 Now 8,230 Canadians over the age of 100, five times more women in this group. Share of 15-64 year olds (labour market) down to 66.5 per cent from 68.5 per cent, lowest since 1976. More people approaching retirement (4.9 million) than beginning to enter work force (4.3 million). Twice as many women over the age of 85 as men. Widest disparity in proportion of seniors between regions of the country (Atlantic Canada and Alberta) since Confederation. Newfoundland and Labrador oldest province (43.7 average age), Nunavut the youngest (27.7). 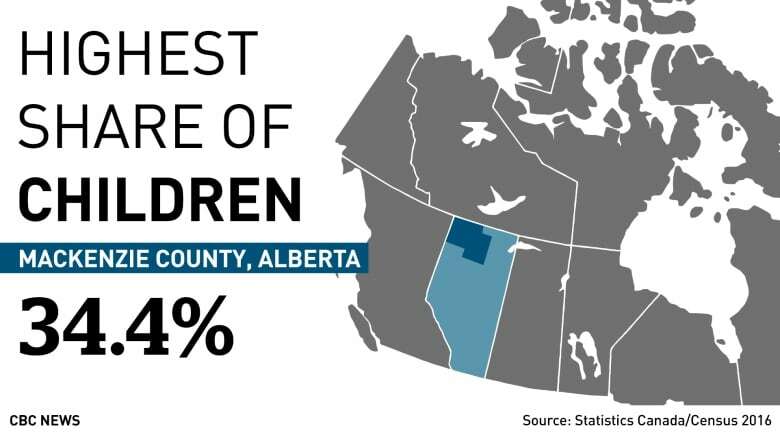 Mackenzie County, Alberta, highest share of children (34.4 per cent). Qualicum Beach, B.C., highest share of seniors (52.1 per cent). 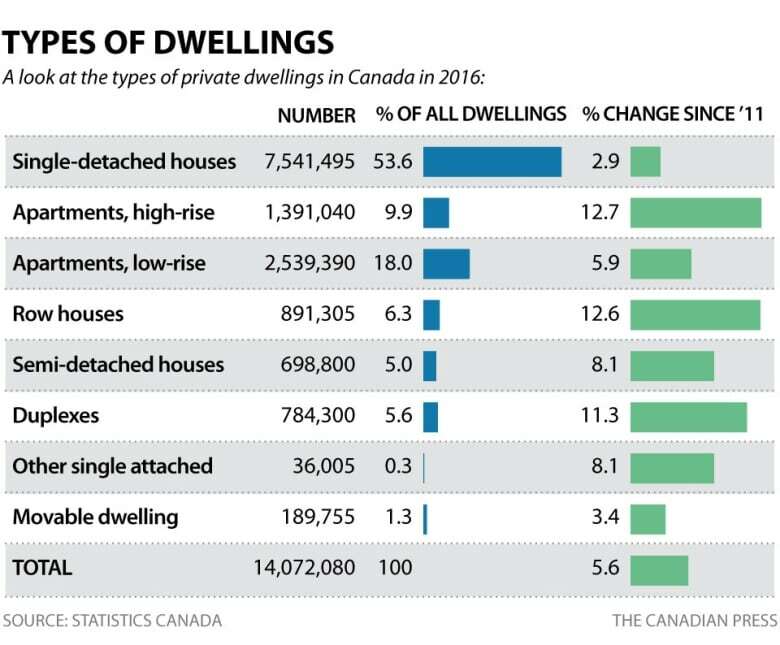 53.6 per cent of dwellings are single-detached homes (7.5 million out of 14.1 million). 27.9 per cent of dwellings are multi-storey apartments (18 per cent fewer than five storeys, 9.9 per cent five storeys or more). 29.4 per cent of dwellings in Toronto are high-rise apartments, by far the highest share in the country. 1.2 per cent of Canadians live in nursing homes or seniors' residences. Did the population in your hometown shrink or grow?